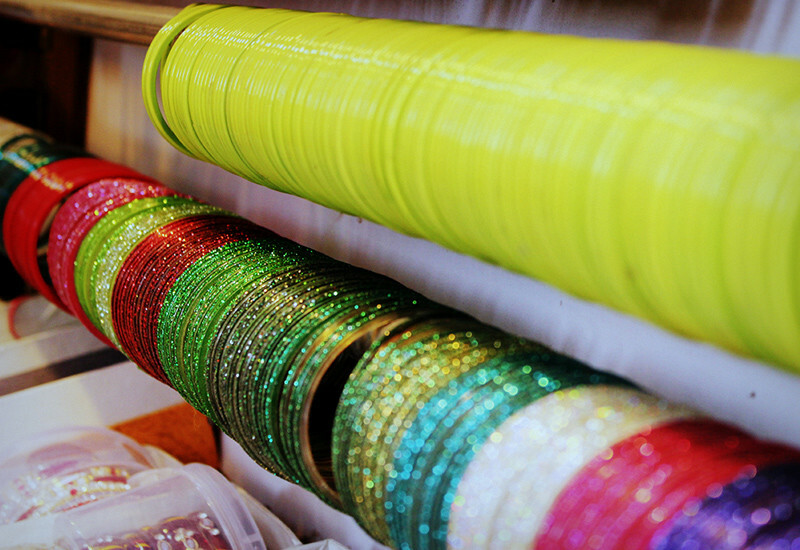 The name 'Churi Wali Gali' itself suggests a lane that sells endless varieties of bangles. This lane, dating back to the days of Emperor Shahjahan (woah! ), survives as quiet testimony to the glorious days that existed around 400 years ago. 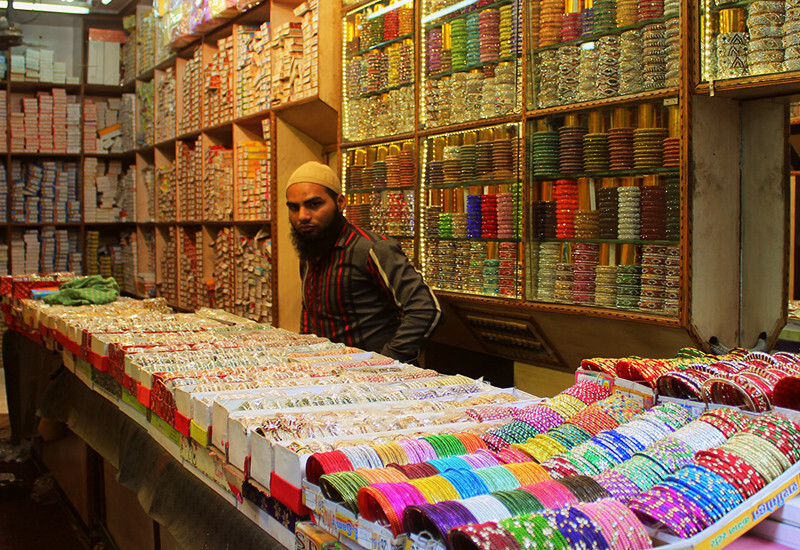 The lanes of Chandni Chowk were planned in such a way that only a local person would know the ins & outs of the place which is the case even today; however, very little of the old world charm remains. 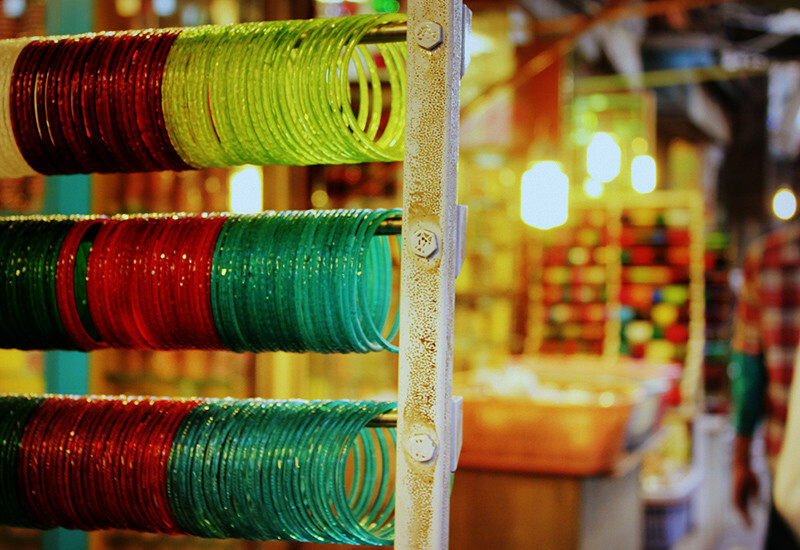 Follow us as we take you through this ancient bazaar! 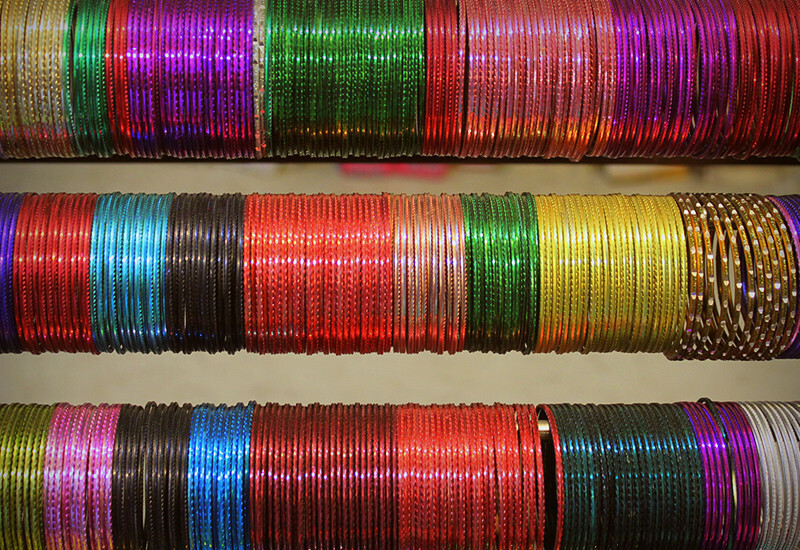 Ask for the Churi Walan Chowk where most of the bangle shops are, which are dismally few in number, as compared to the ancient times where the bangle sellers were known to have accessorized even royalty! 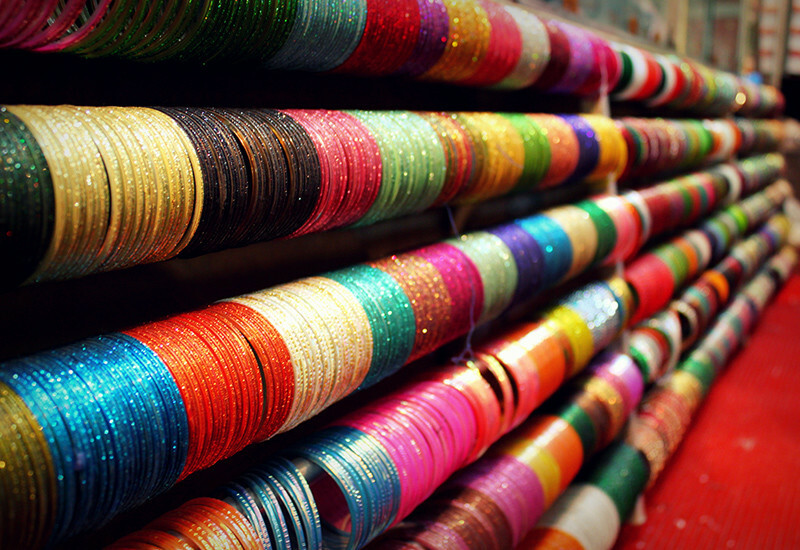 This is not the scenario today, however, the merchandise is still as beautiful & unique as ever. 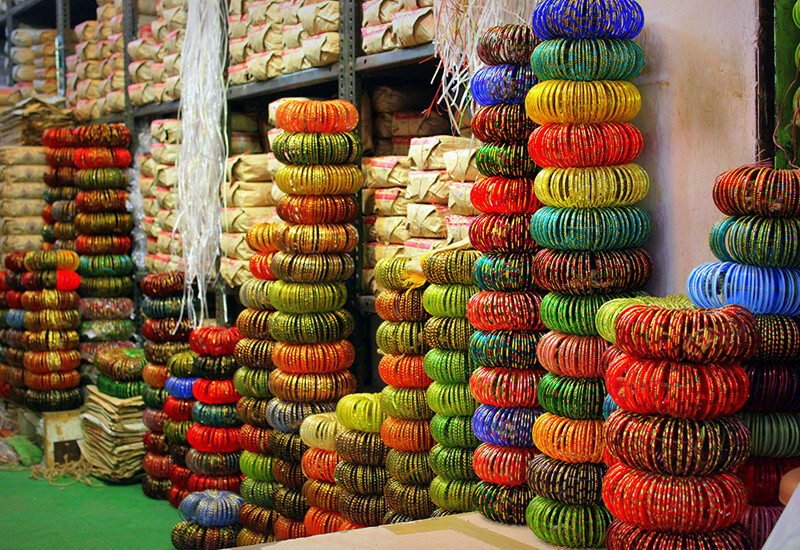 Changing market demands have forced the bangle-sellers to showcase other merchandise as well such as clips, earrings & dress materials, but a variety of bangles can always be found on display. 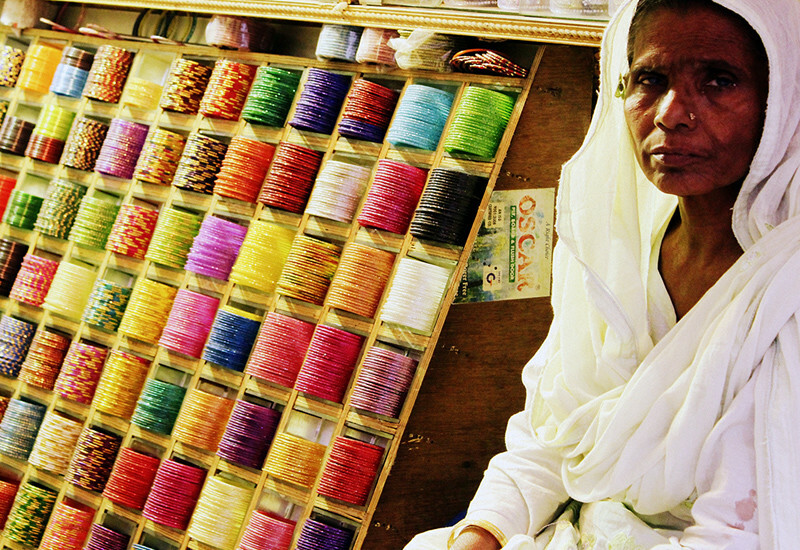 They live on the upper floors of their shops and some even make bangles in their dark and dingy apartments. 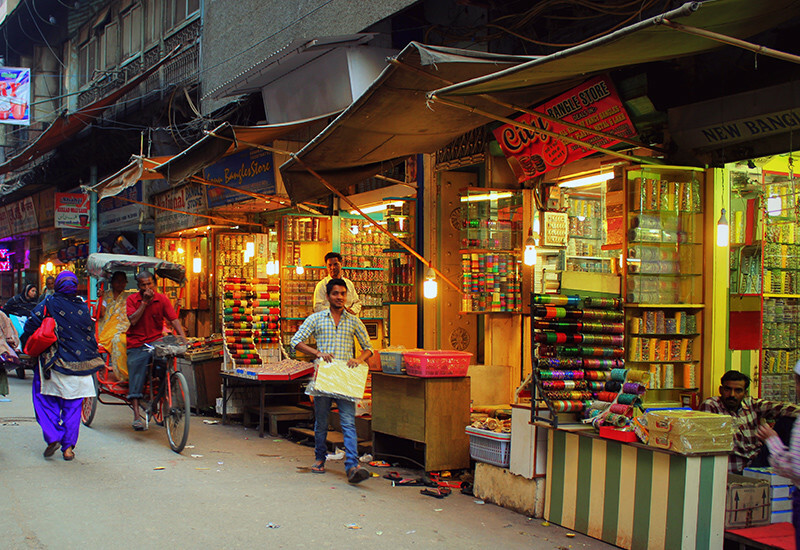 Most of the shops found in the gali have given place to ones that do not fit its mystical character at all: medical stores, groceries and home furnishing stores line the lane today. Lest you willingly choose to explore & saunter around, be prepared to walk a lot. 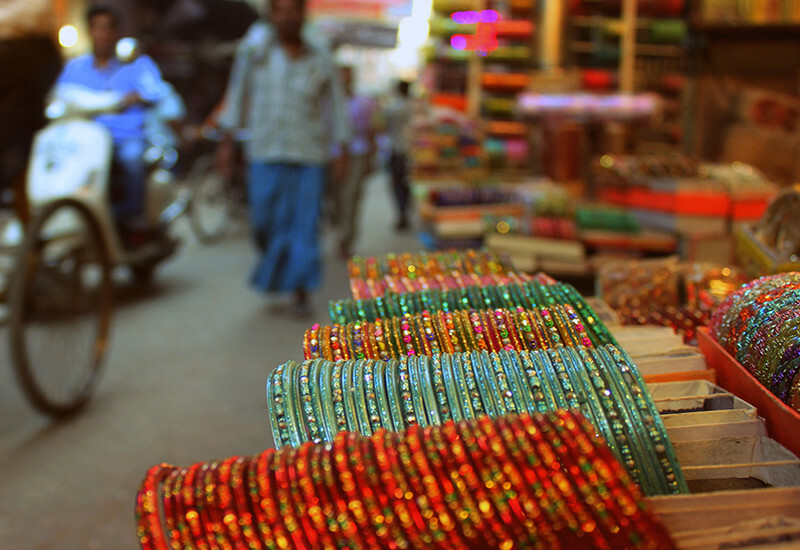 The narrow lanes, some of which are hardly two and a half feet wide, are always bustling with life and crowds. There are no segregated pavements for pedestrians. Autos, cycle rickshaws, two wheelers and human beings try to push & pull through the space once tread on by royalty. Don’t ever take your eyes off the passage, or you won’t know what hit you (literally)! 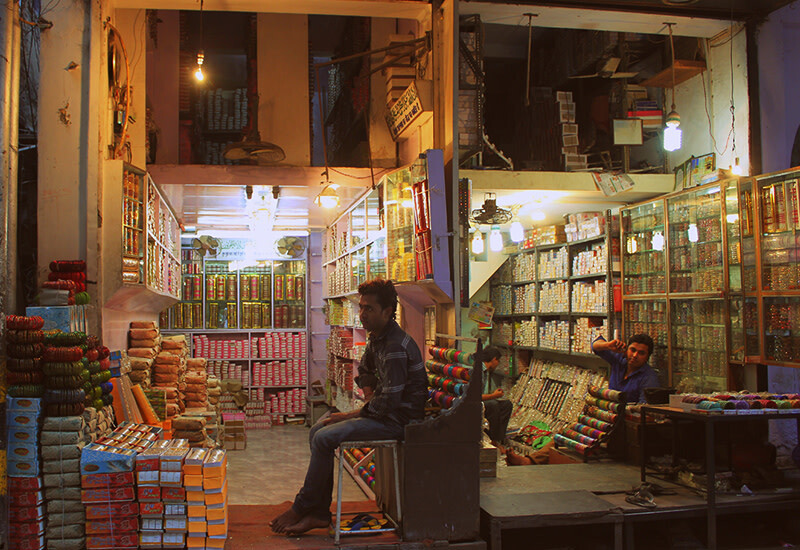 Also, there are numerous shops selling non-vegetarian snacks on both sides of the lane as it snakes along. Carry a handkerchief to cover your nose, because the smell tends to be nauseating at times, even for a committed foodie. 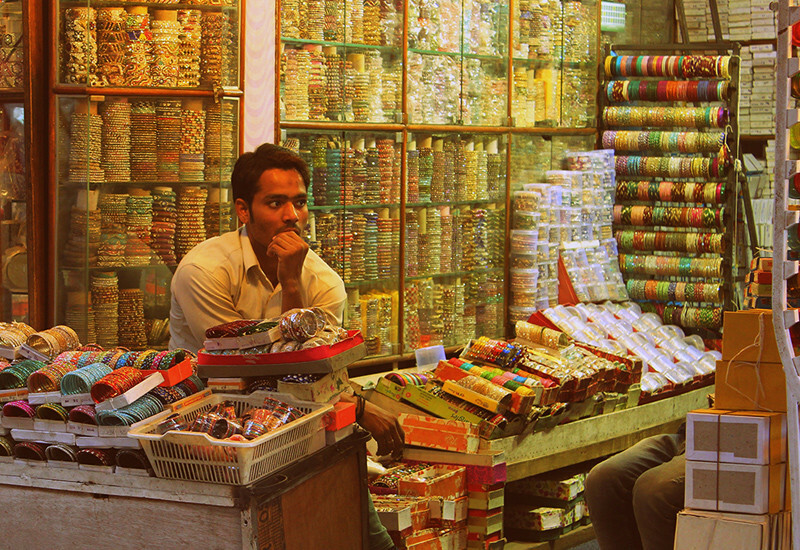 Despite being labelled as 'Old Delhi', the lanes have an underlying contemporary character. On a closer look, you'll be able to identify the modern renovations over the original, tattered facades of the older buildings. The gali comes to life around 11 AM and continues to exude energy till about 9 PM; however, the best time to visit this place, especially for the unacquainted, would be during the day, so plan accordingly! 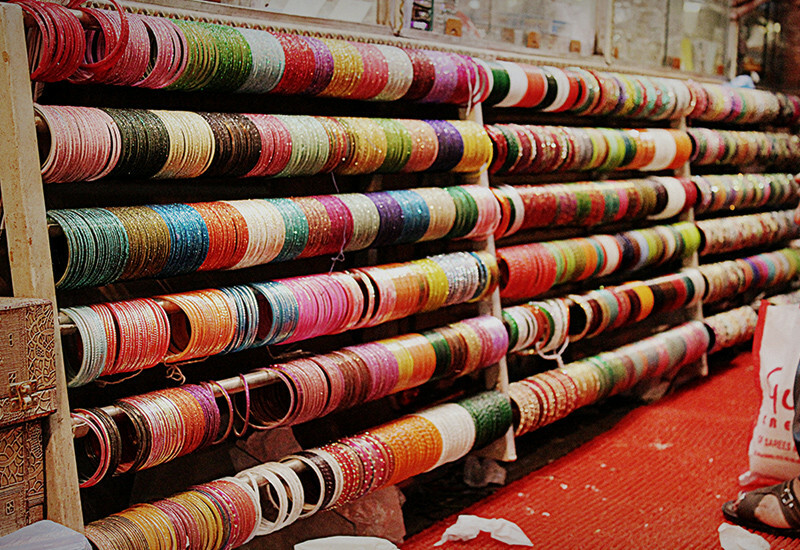 It can be approached most conveniently from a narrow lane opposite to Gate No 1 of Jama Masjid. Another approach is through a particular lane in Daryaganj. 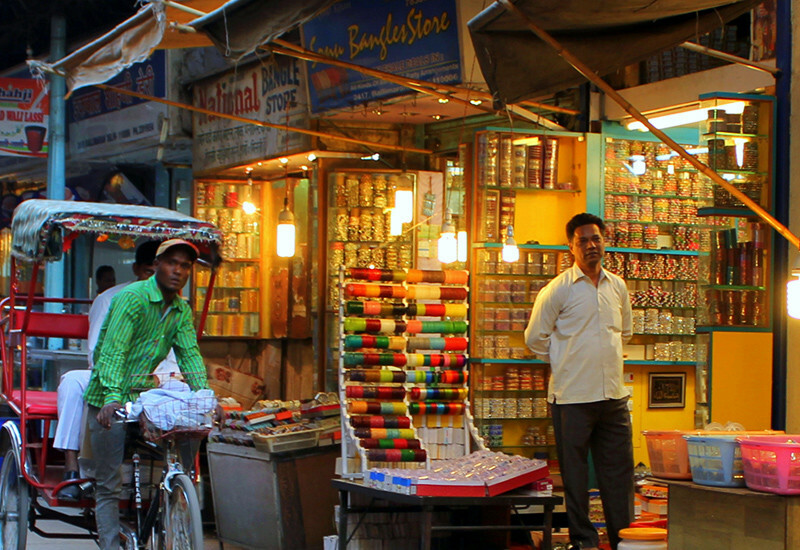 The nearest metro station is Chandni Chowk on the Yellow Line, but you would have to hop on a rickshaw from there. A number of bus routes, such as 118, 405, 411, 419, 347 & 901, would drop you off at Daryaganj or Jama Masjid. Don’t even dream of driving down, as there is no parking space at all! 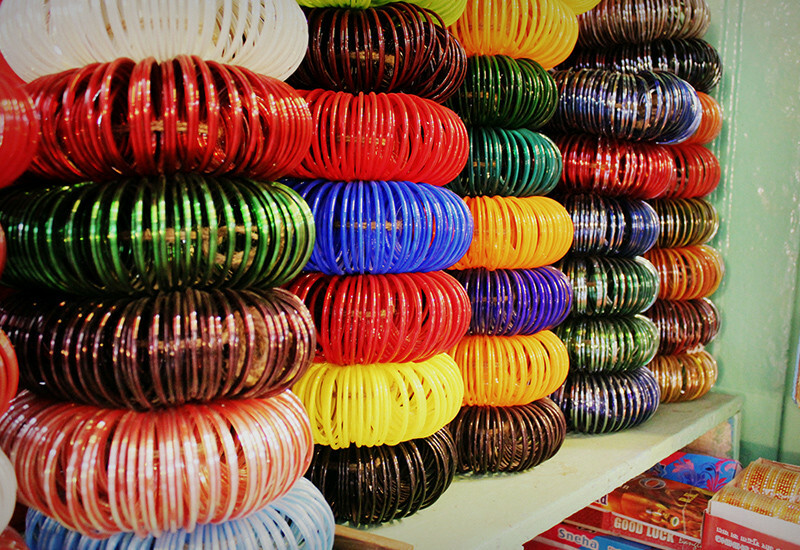 Plan your trip to Churi Wali Gali for an entire day coupled with a visit to Jama Masjid and the Red Fort owing to their close proximity to the place; satisfy your taste buds at the famous restaurant Karim’s and lose yourself in the narrow lanes in the heart of Chandni Chowk! 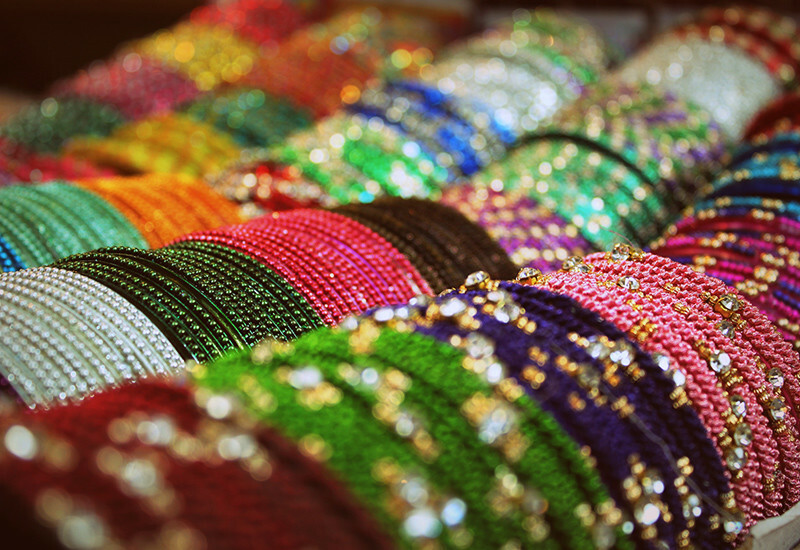 With the wedding season right on top of us, this seems like the perfect time to accessorize your gorgeous ethnic wear with some traditional bangles! 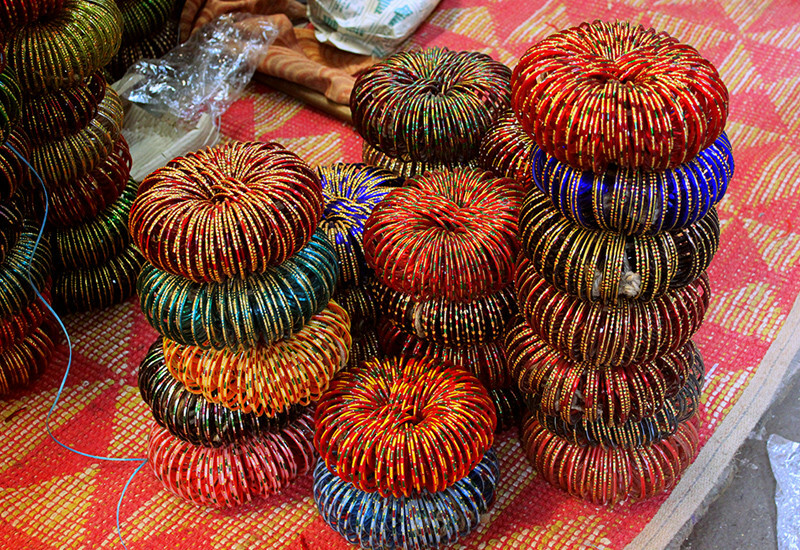 Here Are Some More Pretty Pictures To Flick Through!